Kerala is a coastal state located on the tropical coast of southwest India and is marketed as “God’s Own Country” by its tourism department. Because of its beautiful backwaters, charming houseboats, idyllic beaches, historic monuments and delicious cuisine, Kerala is a popular tourist destination in India for foreign and domestic tourists alike. Kerala was on our list of holiday destinations for a long time now and so we enjoyed a 10 day vacation in December 2015. Because of the Kerala was near our present location (Tamil Nadu), we drove to Kanyakumari and then headed towards a wonderful holiday experience. 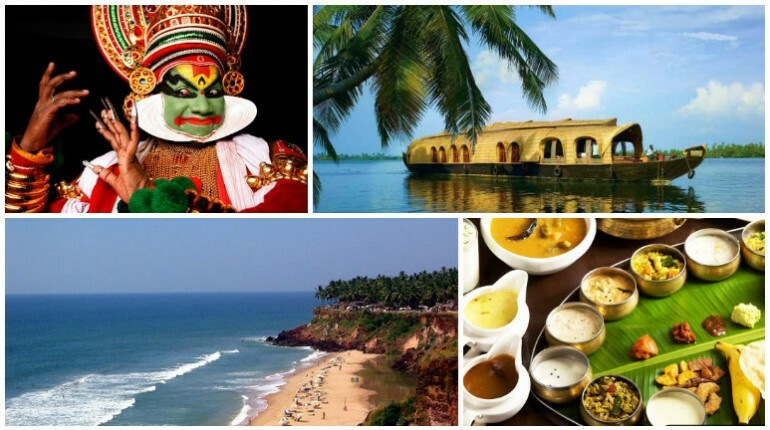 Kerala is a destination of choice not only for honeymooners, but also families, friends and individuals. This state has the highest human development index in the country, with the highest literacy, good governance and major emphasis on tourism – all of which is good for tourists, since it is relatively safer. By Air. If you are flying in from other parts of the country and a few international airports, Kochi is a recommended port of entry, since it is in the center and is close to most of the attractions. The other two airports are Thiruvananthapuram or Trivandrum and Kozhikode. By Rail. Kochi (Ernakulam) and Trivandrum are connected by railways to most major cities in India like Mumbai, Delhi, Kolkata, Chennai, Bangalore, Ahmedabad, Madgaon (Goa), Chandigarh and more. Head over to the railways website of http://erail.in to get more info. By Road. There are bus services from all the neighbouring states like Tamil Nadu, Karnataka, Andhra Pradesh, Telangana and Goa. As I mentioned before, we drove down in our Honda City – the highways from Tamil Nadu / Karnataka to Kerala are good for the most part – you would mostly be driving on the Salem-Coimbatore-Kochi highway (NH 47). As you are nearing the towns along the highway, traffic almost comes down to a crawl – perhaps because it was high season. Kerala is a relatively small state and can be covered by trains (preferably) or by road. The roads are good for the most part, but are congested with so much traffic, that it is not common to sit in the traffic for hours. Government buses are okay too if you are on a budget. Within major cities like Kochi or Trivandrum, you can get call-taxis / radio-cabs or autorickshaws. In Kochi, most of the tourist attractions are best done by taking the government ferry service to Fort Kochi / Mattancherry / Willingdon Island / Vypin etc – it is fun, beats the traffic any day, saves time and costs less than Rs 10 one way! major city for trade after Mumbai in times of yore. Traders from the Arabian and European nations came over for spices and other goods. In fact, the spice market in Kochi is still a major draw for tourists. Other tourist attractions here are on the islands off Kochi – Fort Kochi / Mattancherry has the Mattancherry or the Dutch Palace, Jew town, Jewish Synagogue, the Chinese fishing nets and the Santacruz Basilica. Take a ferry to this island from Ernakulam jetty and once there you can either walk (most attractions are less than a kilometer away from each other) or take autorickshaws. There are quite a few small hotels / B & Bs and restaurants here. 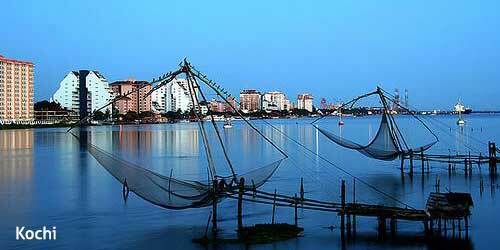 Kochi city itself has nothing much except for some malls (LuLu, Abad etc), few temples and backwaters. There are quite a few good hotels along the waterfront like Taj Gateway (we stayed here), Keys Hotel, Le Meridien, Crowne Plaza, Vivanta by Taj etc. Besides these there are hotels in the Fort Kochi area too. Just go to any hotel aggregation site to get good deals. Alappuzha (Alleppey). This district is famous for its backwaters and is also called as the Venice of the East. Most of the high end resorts and hotels are along the Vembanad lake or in Kumarakom (again along the huge lake). We stayed in a nice lake facing resort called Deshadan Resort. The highlight of our stay here was the Ayurvedic spa massages we had – it was rejuvenating. The lake itself winds into palm-fringed waterways through villages. These backwaters are best enjoyed on a houseboat or shikaras. I have written an exclusive post on Kerala Houseboats. This place is NOT to be missed. Kovalam and Varkala Beaches. Kovalam beach was made famous by the hippies in the 1960s and now too has its fair share of tourists. Of course, most of the prime locations along the beach have been taken by resorts and luxury hotels, but these are really to be experienced. Varkala beach has a cliff and is popular with western tourists. Thiruvananthapuram / Trivandrum. Since you are at Kovalam or Varkala, why not visit this city for a glimpse into some of the old palaces and the famous, ancient and richest temple in the world – Padmanabhaswamy Temple. 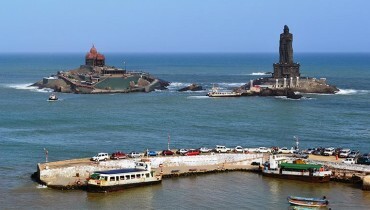 This is the nearest large city with airport if you want to visit Kanyakumari, the southern most place of India. Munnar. If you like hill stations with verdant beauty, Munnar is a destination you will like. It has manicured tea gardens and hills rolling with green cover. You can see the shy workers picking the tea leaves and then visit the tea factory nearby to see it being processed – while you are there, why not try some fresh tea straight from the gardens. There’s even a tea museum to understand more about tea. As you climb to the heights, you will begin to experience a dip in the temperatures. Good place for trekking and relaxing. Thekkady. Thekkady (Idukki district), located near Kerala-Tamil Nadu border, is the location of the Periyar National Park and Wildlife Sanctuary. It is notified as an elephant and a tiger reserve. The sanctuary can be enjoyed by trekking in the jungles, by cruise on a boat or taking a jeep safari through the forest. 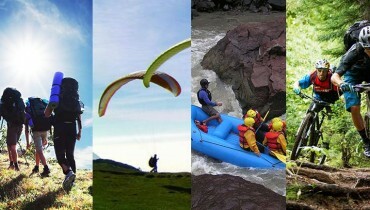 You can get more information on the treks etc at http://www.periyartigerreserve.org/home.php. If you are a foodie, you should try the local cuisine at various places in Kerala – there is something for everyone – vegetarians, meat-eaters and for those who love sea-food, this place is absolutely heaven! Be mindful of spices if you like mild / bland food. As for liquor, except for 5-Star hotels where one can get a tipple, it is banned in the state from last year. You can get the local brew called toddy, though. We, as a family, had a blast in Kerala in those 10 days and returned rejuvenated. It really is a destination not to be missed…Do comment on your experiences below.